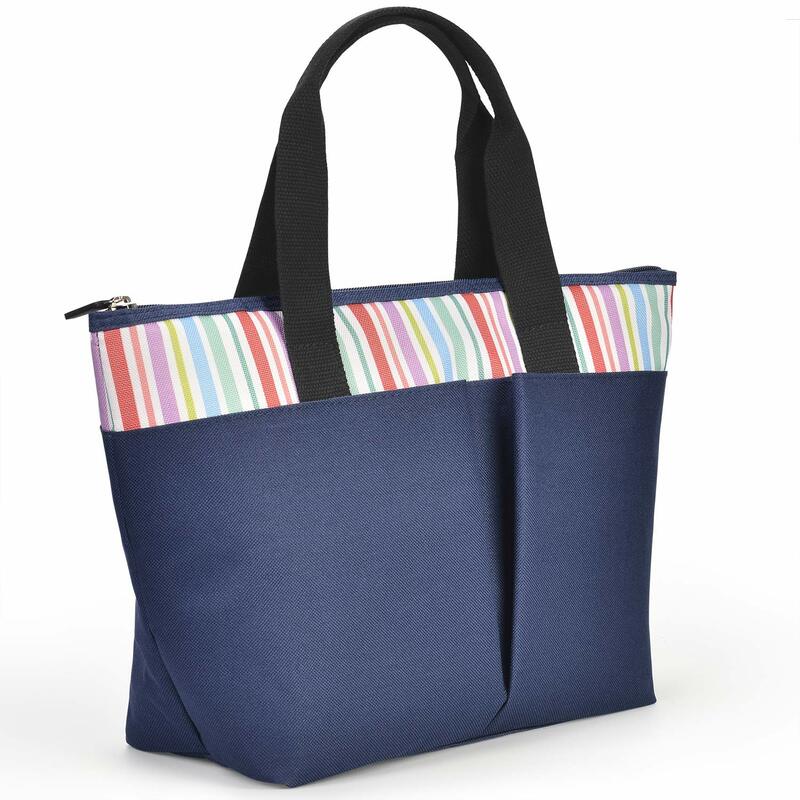 LEADO's lunch bags for women feature Simplicity and Versatility. ★★★★★ WOW! I have always been a huge "Thirty-One" fan and have several of their lunch bags. I ordered this one as a gift for a colleague but I am so impressed with how much roomier it is than my other bags and the price is much cheaper! The style is trendy and it's so nice, I think I'll be keeping this one for myself! ★★★★★ Awesome love it. I took it to work and left it in my car with the heat. I thought for sure my food wouldn’t be good. Boy I was wrong!!! All my food was still cold and good! This is the best one I’ve bought in a while! LOVE IT!! ★★★★★ Perfect size for my lunch with snacks, and ice packs! I also love the added pockets on the side. Very happy with my purchase. ★★★★★ This is a great bag! It's very sturdy and can be used for both cold and hot foods/drinks. I am thinking on getting another one as a gift. ★★★★★ I love this!! It is so big and keeps my stuff cold all day!! I can pack my snacks and lunch with plenty of room for more....if I ate that much! Great product!! I love it so much I ordered another one for my daughter! !